Welcome from the Briski family to the 4th Annual Alexis Briski Memorial Softball Tournament. My name is Kael Briski, Alexis’ father. I’ve written several welcome letters and they don’t get any easier, but each year, my family and I renew and have a deep appreciation and gratitude for all that this fantastic league has done for the sport of fastpitch softball here in our community, and for the support provided to the Briski Family and Alexis especially when she was sick with cancer. We have reached a point where I think everyone knows what this tournament is about-it is special. Not only do we have a chance to reflect upon how lucky we and our daughters are to be able to play and watch this sport, and to coach it as well, but for the real simple pleasures in life. When you are a 10 year old girl who is told the words, “I’m sorry but you have cancer” the simple pleasures become true treasures. Over her one year battle with Osteosarcoma, a childhood bone cancer, Alexis pushed on through 13 surgeries, including having her left upper arm bone, from her shoulder socket, all the way down to her elbow removed and replaced with a donor bone, to going in to have lung surgery to remove cancer from her lungs only to be told that there was so much cancer on her lungs that surgery could not be accomplished. I remember when the surgeon came out to give my wife Kay and me the news. We were stunned-we had so much hope that she would beat the disease-from there we had to go to surgery recovery where Alexis’s first question was: “Dad did they get it all?” That was in October of 2008. After that there were victories and setbacks, joys and sadness, and a tremendous outpouring of love from our community. On May 23, 2009 Alexis took her final breath. She was well ready to go; although she was in tremendous pain, and could barely breathe, she was at peace, surrounded by her dear friends and family, and took special comfort from a special friend, Jensen Barrett, who choose to celebrate her 11th birthday sitting in Alexis’ hospital room on May 20th, 2009. They met only 10 months earlier while they were both recovering from lung surgery at Lucile Packard Hospital. As it turned out, Jensen passed away on August 29, 2010 from a similar cancer. So you see... life can deal you some blows, it deals them to all of us, but the simple pleasure of having a friend to confide in and talk to made things much easier for Alexis and Jensen. I hope you can take a moment during this tournament to reflect on all the simple pleasures we are blessed with each and every day. Each year I like to tell a story about Alexis. This one is a little different, but like all of the other stories I’ve told about her it is true. In late 2011, I was asked, along with other parents whose children had passed from Cancer at Lucile Packard, to present at a seminar for the Pediatric Oncology Nurses, and Palliative Care team at Lucile Packard Hospital. It would be an understatement to say that those nurses and doctors are our heroes. They were there with Alexis night and day providing care that went above and beyond what should have been expected. In any event, not having seen many of these fantastic people in some time, I brought some extra Alexis Briski Memorial T-Shirts out to some of them. These nurses and doctors tell me that they love the pink shirts and wear them all the time when exercising, as PJ’s etc...Anyway, after the presentation, our Social Worker, Analisa Velasquez went and found a doctor she knew we would want to see. Her name is Alex Abrams, and she was a Resident at LPCH when Alexis had a horrible hip tumor diagnosed. Residents work night and day, and Alex and Alexis had a special bond when Alex was treating Alexis during the holidays in 2008. Many a doctor and nurse has told me over the years about the impression Alexis made upon them-how she caused them to elevate their level of care and how they marveled that she would thank them for helping her. Apparently Alex was one of those, because after she came up to greet my wife Kay and me, she explained that she was doing her Fellowship (an extensive study and specialization in a particular medical field) in Osteosarcoma research, and that it was Alexis that motivated her to do this. Kay and I were overcome with emotion.. We know that she will help make a difference in the research and study of this rare cancer. So where does that lead us? Back to the tournament. Our league does a fantastic job of giving back to the community. We have given out scholarships over the past three years and will provide yet more of them to graduating seniors from Los Gatos, and Saratoga High Schools. Alexis would be glad to know that her memory lives on in this meaningful way. You’ll see me and my entire family, my wife, Kay, daughter Annika (12) son Matthew (10) and daughter Emily (5) out there for the whole tournament, taking it in, watching games, and just enjoying the whole event.. Please say “hi” to us if you like. We really appreciate the support this tournament receives. I’ll be wearing my Magic hat with the yellow ribbon patch worn by our players in 2009, and also on the other side a purple “J” for Jensen Barrett. To the softball teams and organizations, the coaches, volunteers, and especially the ball players, thank you for making this softball tournament an incredible, and worthy event. 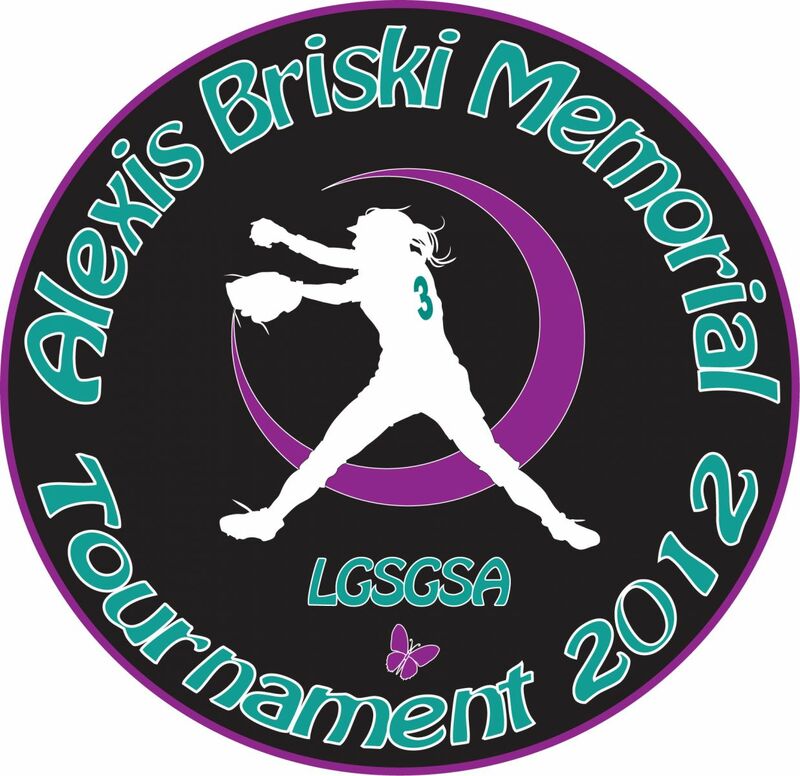 We welcome you to this 4th Annual Alexis Briski Memorial and wish you the best.